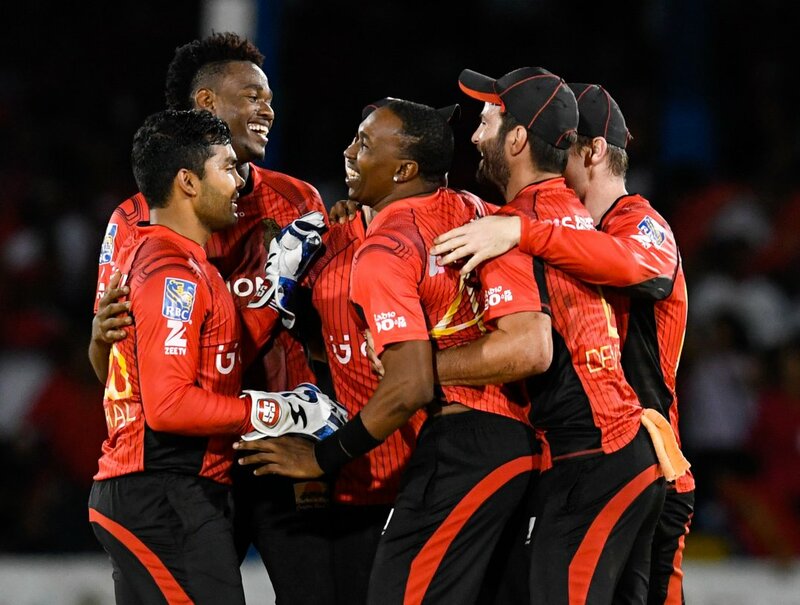 (CPL T20) A world record fifth wicket stand between Hashim Amla and Dwayne Bravo rescued the Trinbago Knight Riders in their Hero Caribbean Premier League (CPL) match against Barbados Tridents. Having lost four wickets inside the first five overs the Knight Riders looked like they were going to collapse to an uncompetitive score. The hugely experienced pairing of Amla and Bravo then put together a match winning stand of 150 in 92 balls. Amla was just superb as he made 81 from 54, bringing up his half century from 42 balls. This was the best fifth wicket stand in the history of T20 cricket, the best ever partnership for Trinbago Knight Riders and the third highest stand ever in Hero CPL. Amla was pulling out all of the shots, but it was against fellow South African Wayne Parnell that he was most brutal. Going into his last over Parnell had conceded just 15 runs before Amla plundered 20 more off his last, including two Hero Maximums. Dwayne Bravo was almost as impressive on his way to an undefeated 66 in a partnership with Amla that was nothing short of remarkable. They took their side from what looked like certain defeat to victory in 15.2 overs of outrageous hitting. Things could not have begun any better for the Tridents before that amazing countering attacking stand. 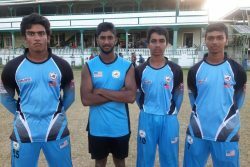 Left arm spinner Akeal Hosein opened the bowling and picked up the massive wicket of Brendon McCullum in his very first over and dismissed Colin Munro in his second. Both New Zealanders were bowled by balls that they expected to turn but which held their line. Hosein finished with figures of 2-18 from his four overs, a career best. The Knight Riders lost a further two wickets inside the six over batting PowerPlay at the beginning of their innings, Ravi Rampaul claiming the scalps of both Darren Bravo and Umar Akmal in the space of three balls, both men edging behind to wicket-keeper Nicholas Pooran. At 20-4 a recovery job was badly needed and Amla and Bravo gave their team that and then some. The USA’s Steven Taylor opened the batting for the Tridents as they set off to chase 171 for victory and he had an eventful first over. 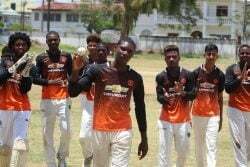 Nikita Miller was the bowler and Taylor smacked the second ball straight up in the air where three fielders converged and none took the catch, with two of them ending up on the floor. Three balls later Florida-born Taylor crunched a drive down the ground that Munro could only parry the ball over the rope for six. Taylor and Kyle Hope put on an opening stand of 41, Hope departing for 11 off the penultimate ball of the PowerPlay. It was a steady beginning to the innings as they looked to set a platform for the big hitters to come. Taylor went on to make his highest ever Hero CPL score of 37, but his inability to rotate the strike between boundaries was slowing up the Tridents progress. Shoaib Malik also found it difficult to score freely when he first came to the crease although he did pass 6,000 T20 runs on his way to 28 (24), the 10th player to do so. It looked like he had edged behind off Narine when he was on 10 but the umpire turned down the impassioned appeal. Two balls later Narine did pick up a wicket, Taylor holing out in the deep. By the time AB de Villiers arrived at the crease for the Tridents the required rate was at in excess of 11 an over and even someone with the incredible talent was going to struggle. The chase eventually petered out as the rate climbed and wickets fell. In the end the Tridents fell 11 runs short of victory with the wicket of AB de Villiers, caught in the deep off the bowling of Dwayne Bravo, ending any hopes for the Tridents. A brilliant cameo innings of 33 from Nicholas Pooran playing in his first game in almost two years was great to watch, but it came too late.